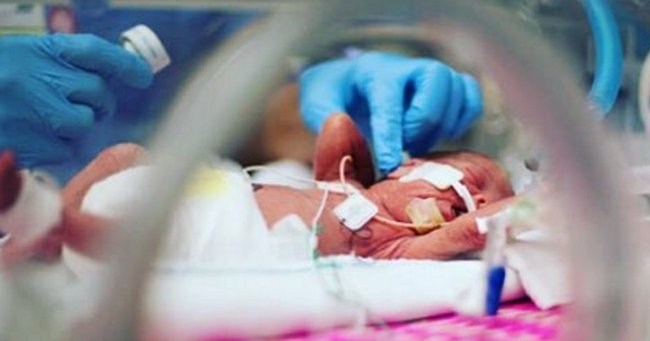 "My baby wasn't considered viable - Why Doctors saved her life." As the long hours stretched into days, we began daily meetings with doctors, discussing our best and worst case scenarios. For each week that my pregnancy progressed, the better chance our triplets had of surviving. We heard endless statistics and the challenges we faced if our children were born at 23, 24, 25 weeks gestation. The doctors were practical, not sugarcoating the prognosis, but they still gave us a glimmer of hope. While many hospitals won’t intervene until a baby reaches 23 or 24 weeks gestation, our hospital believed in giving our children a chance if possible. And that was the case on June 23, 2013 when I delivered my children at 22 weeks 6 days. Stacey Skrysak is a US journalist and TV presenter. For more from Stacey, check out her site Perfectly Peyton, or follow her on Facebook or Instagram.